Since that night in Lidl I think we must have tried German Lebkuchen or German Gingerbread from just about every supermarket that sell it, Sam thinks himself a Lebkuchen connoisseur and has gone through about 5 bags in a few weeks. I actually prefer it to classic gingerbread, I prefer the soft texture to the crunch of classic gingerbread. I have also tried the apricot Lebkuchen that is available from some shops but I just can’t get on board with apricot jam so I decided that mine had to be plain. German Lebkuchen is a soft ginger biscuit originating in Nurnberger in Germany, it is made with ground almonds, honey and spices which gives it a wonderfully rich flavour and moist texture. A must try this Christmas season! I coated my German Lebkuche in dark chocolate because that’s my favourite and rose gold edible glitter because that’s what I had in the cupboards, but feel free to experiment with milk or white chocolate or you can use royal icing to coat your Lebkuchen. Try chopped nuts for decoration or decorate with coloured royal icing. Pre-heat your oven to 180C/fan 160C. Line a baking tray with grease proof paper and spray with non stick cooking spray. In a medium bowl sieve together the flour, baking powder, bicarbonate of soda, spices. Add to this the ground almonds and the lemon/orange zest and stir with a wooden spoon to combine. In a small saucepan over a medium heat melt the butter and add the honey, stirring to combine to two. When the butter has melted and the two have combined, add these to the dry ingredients, mixing well until everything has combined and you are left with a fairly solid dough. Cover your bowl and leave the dough to cool. When the dough has cooled, using your hands, form the dough into roughly 30 even sized balls. Flatten each ball slightly by pressing down with the palm of your hand and place on your baking tray leaving about 2cm around each dough ball to allow it to spread. 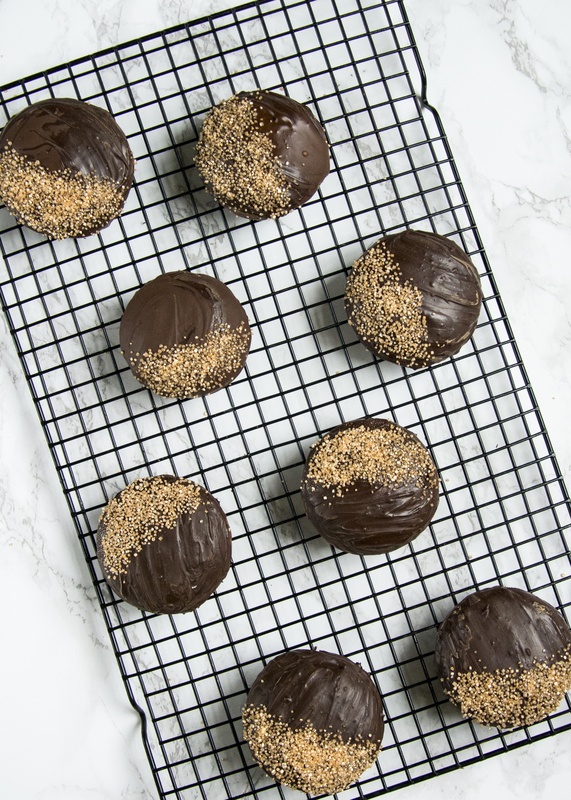 If you are using only one baking tray you will have to bake the Lebkuchen in batches, don’t over crowd the tray as they will spread and stick together. Bake for 15 min then cool on a wire rack. When the Lebkuchen have baked, and have cooled fully you can then prepare the chocolate. Melt the chocolate in the microwave, giving it bursts of 30 seconds at a time and stirring between each until all of the chocolate has melted. 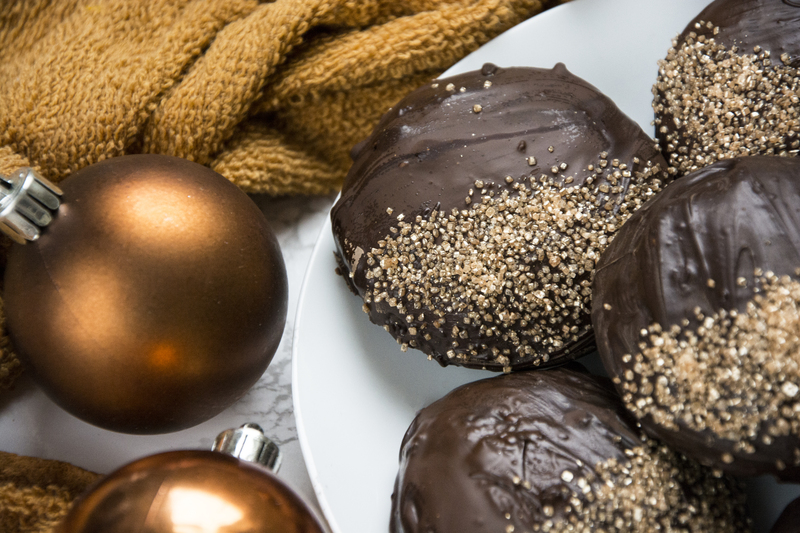 Dip the Lebkuchen into the chocolate coating just the top and leave to cool on a wire cooling rack. 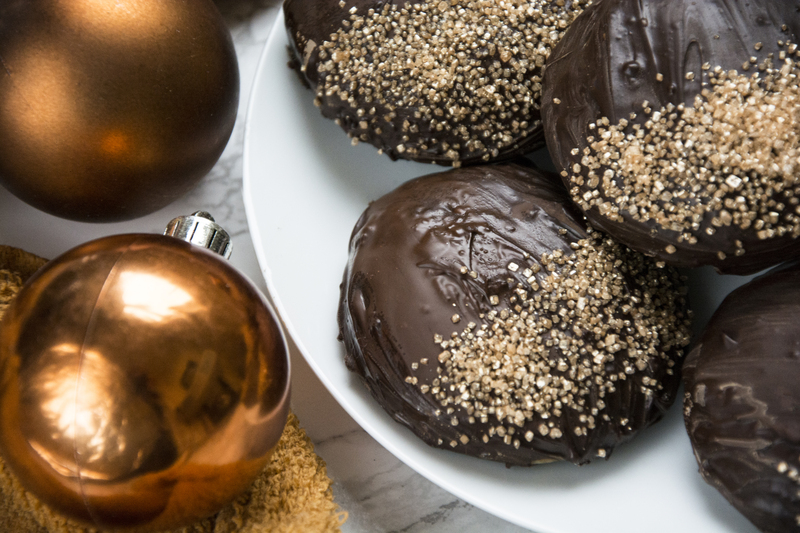 If you would like to decorate your Lebkuchen this is the time to do it whilst the chocolate is still melted, sprinkle edible glitter or any kind of decoration you would like. And there you have it, easy homemade German Lebkuchen. If you try this recipe let me know how it goes by tagging @whatseatingmanchester in your social media post! 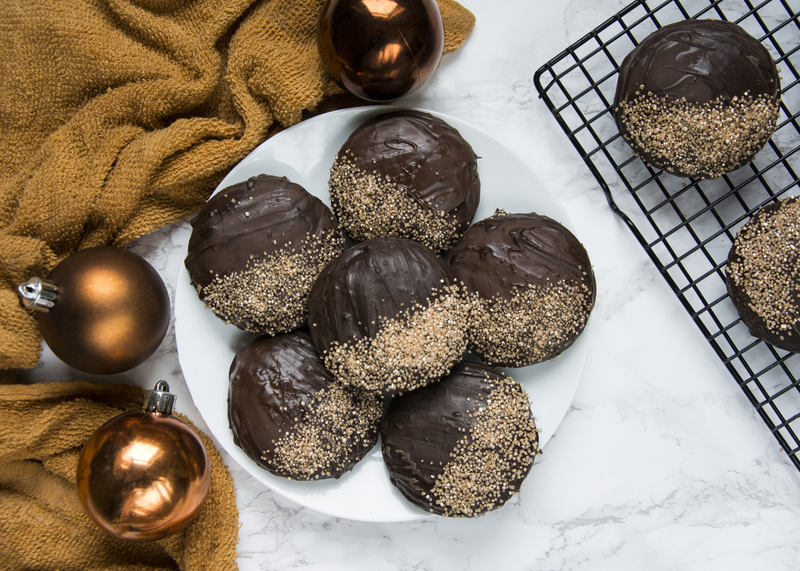 For more festive baking ideas check out my blog. These are beautiful! 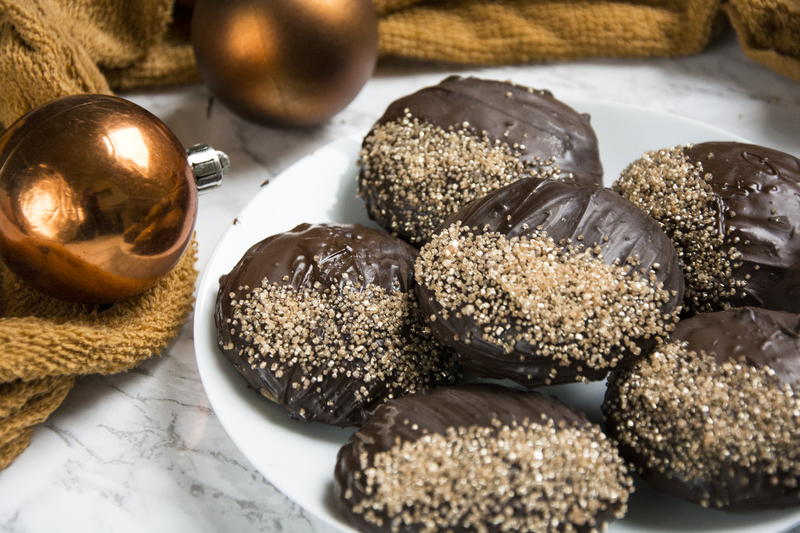 I would love to get more in-tune with my German heritage and I’m always looking for new Christmas treats to try, so I will have to bake these this year! It?¦s actually a great and useful piece of info. I am happy that you just shared this useful information with us. Please stay us informed like this. Thanks for sharing.